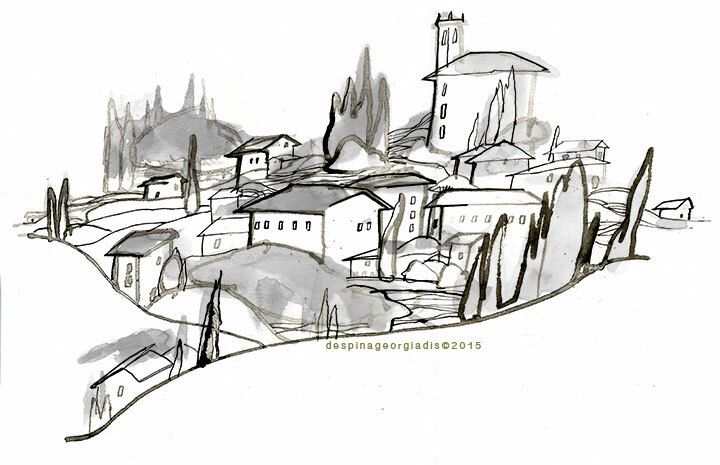 A few months ago I was commissioned to work on a wine label for the Limited Edition of Nolita, an Italian wine. 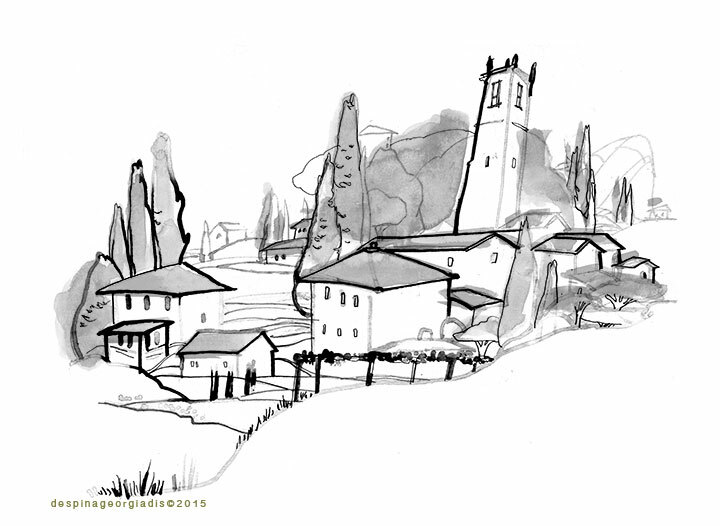 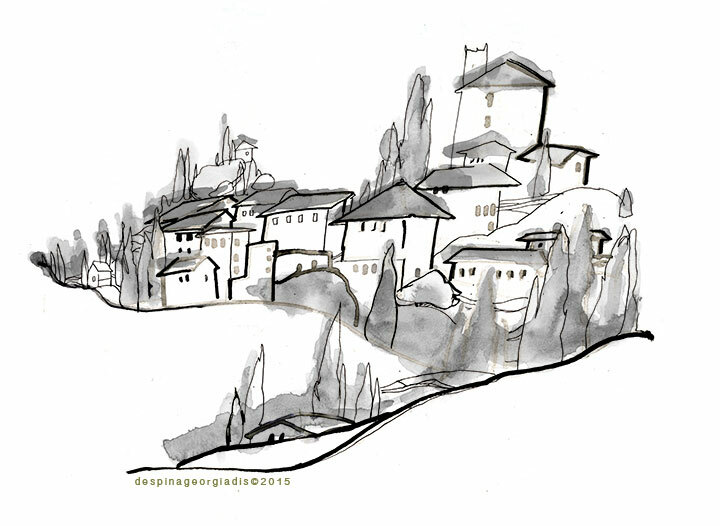 I was happy to spend my time drawing the bucolic scene of a hillside village in Italy with the cypress trees and terracotta rooftops of the houses that I’d so love to spend some time living in. 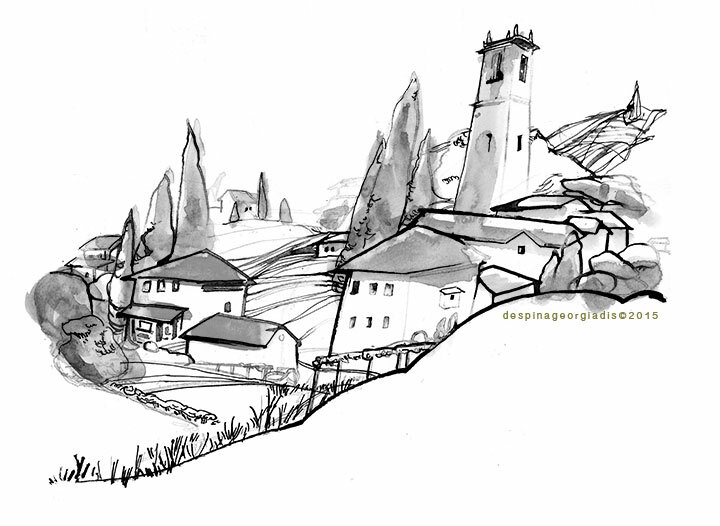 I’m including some of the preliminary sketches as well.